You have to catch Mike Collins‘ new studio release. 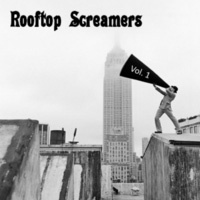 The drummer from Portland’s Throwback Suburbia has put together a set of 8 super power pop tunes entitled Rooftop Screamers Vol 1. One listen and you’ll recognize influences such as Tom Petty, Bowie and ELO. Most importantly, there are pop hooks a-plenty. While the songs are masterfully written by Collins, he’s not a singer. So, he’s enlisted some significant star power to take over at the mic. Guys like Ken Stringfellow and Kyle Vincent. While there are no duds here, some tracks stand out for me. Sung by Vincent, the lead-off track, “Sign Me Up”, is catchy as all git-go and the sentiments expressed are universal. Ken Stringfellow does the honors on “Roses Again” with a memorable melody and a monster hook of a chorus. “Talk About It” feels as if it would have been an arena rock favorite from the 90’s. And Jeff Carrell nails vocals on the Bowie-esque “Good Intentions”, the albums final track. All in all, Rooftop Screamers volume 1 hits all the right notes. I can’t wait for volume 2 (assuming that there is a volume 2 coming). 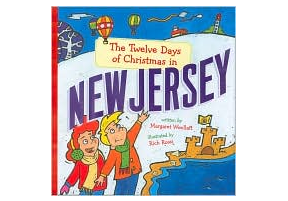 You can get this one at Amazon or CD baby.